Thanks to a generous donation by Wells Fargo, the United States Hispanic Chamber of Commerce (USHCC) Foundation is giving grants totaling $100,000 to local Hispanic chambers of commerce around the country to help small Hispanic businesses. Giving grants to local chapters will help increase the amount of programs and other help that can be provided for small businesses at local levels. The purpose of the grant is to provide more support to America's Hispanic business community. As Greg Winegardner, Regional President for Wells Fargo stated, "At Wells Fargo, we know the importance of supporting Latino entrepreneurs and small businesses across the country." "These are businesses that create jobs and strong, vibrant communities." The USHCC, founded in 1979, supports the efforts of over 3.2 million Hispanic owned businesses and entrepreneurs around the country. They also support more than 200 chapters of the USHCC located across the U.S. and Puerto Rico. 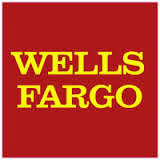 Wells Fargo is a financial services company that has loaned more than $6.3 billion to Latino business since 1997. Headquartered in San Francisco, Wells Fargo's services include banking, insurance, mortgages, and consumer and business loans. The company has offices in more than 35 countries.